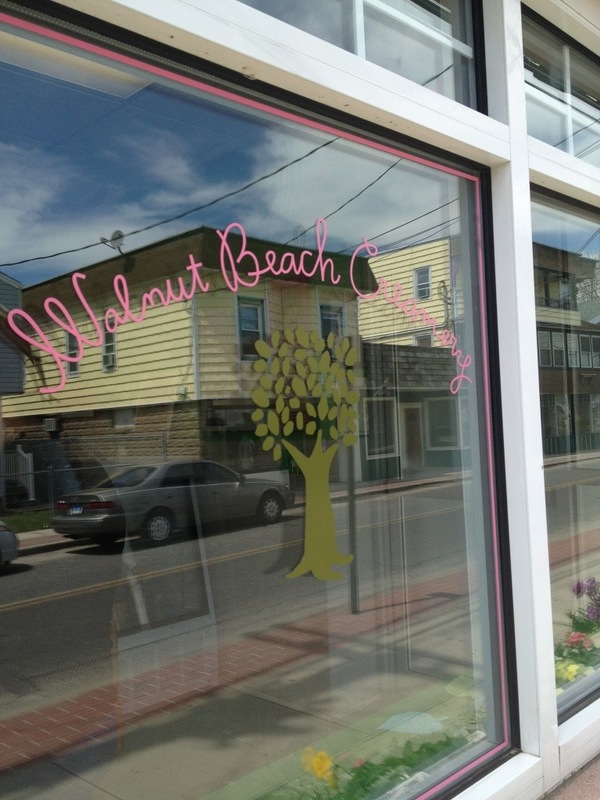 A few steps away from the beach in the residential neighborhood of Walnut Beach in Milford is a little ice cream shop called Walnut Beach Creamery. 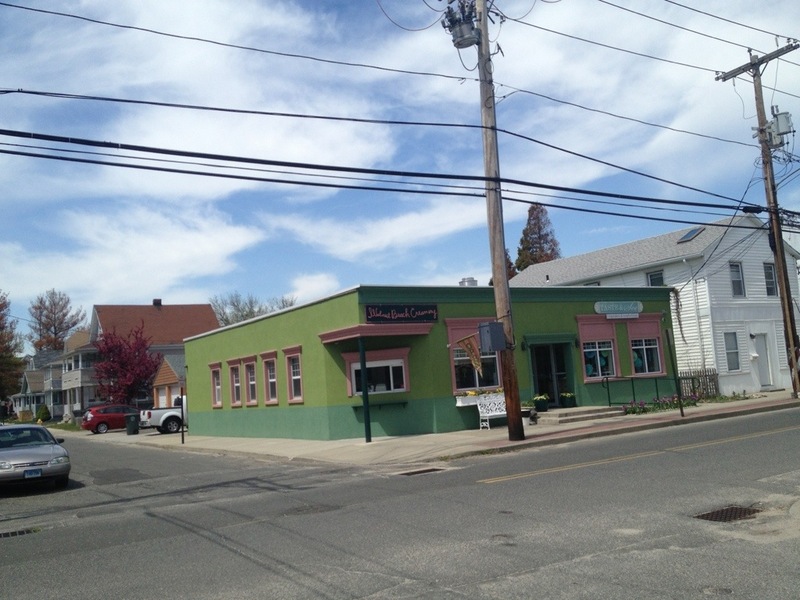 When you drive through the neighborhood you can’t miss the creamery, the building is painted in the unmistakable bright pink and green color of a watermelon. As soon as you see it, your inner child or your own child will want to stop and check it out! 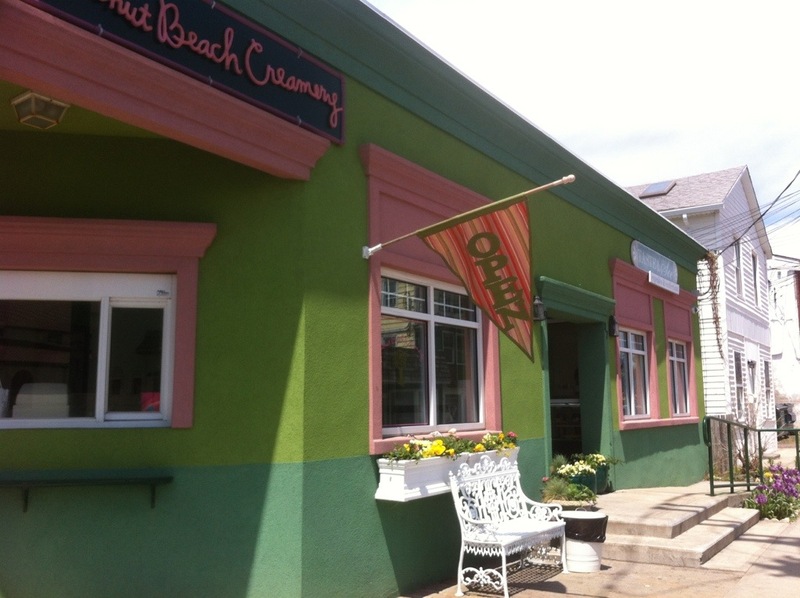 Walnut Beach Creamery is the unique creation of Susan Patrick, who has been called the “ice cream mad scientist/genius” of ice cream in one Four Square review. As soon as I saw that review I knew I was in for a unique ice cream treat! 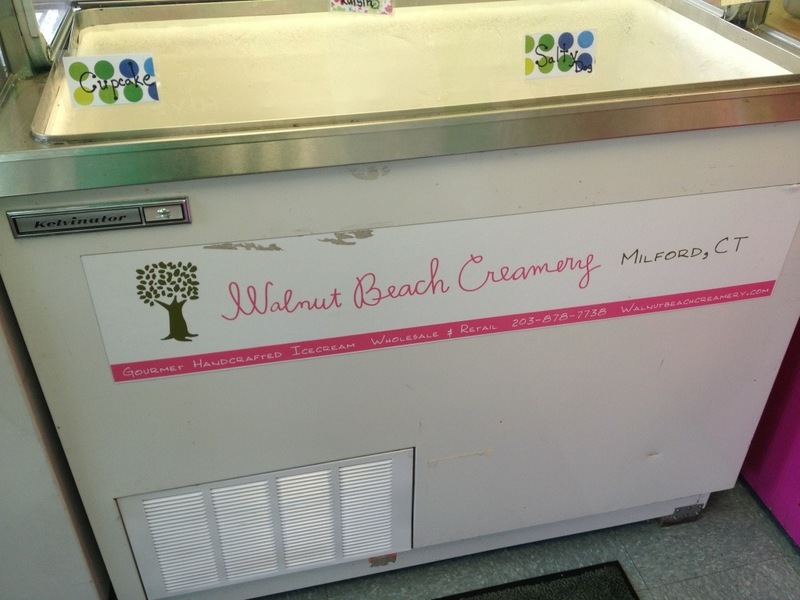 Whether you’re looking for a traditional hard ice cream flavor or something a little more unique and unexcpected, Walnut Beach Creamery has something for everyone. Homemade Butterscotch, Homemade Coffee Sauce, Fresh Strawberry Sauce, Marshmallow, Peanut Butter, Granola, and Spiced Maple Nuts to name a few. 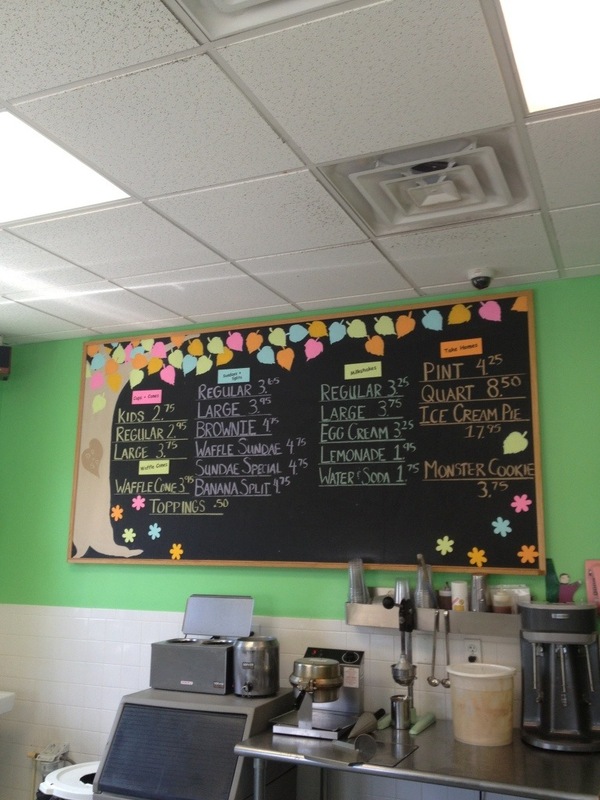 If you aren’t feeling like an ice cream, Walnut Beach Creamery also offers a variety of Lemonades: Lavender Lemonade, Mint Lemonade, Strawberry Lemonade. I really wanted to give the “Sandi Annie” a try, but it wasn’t ready. 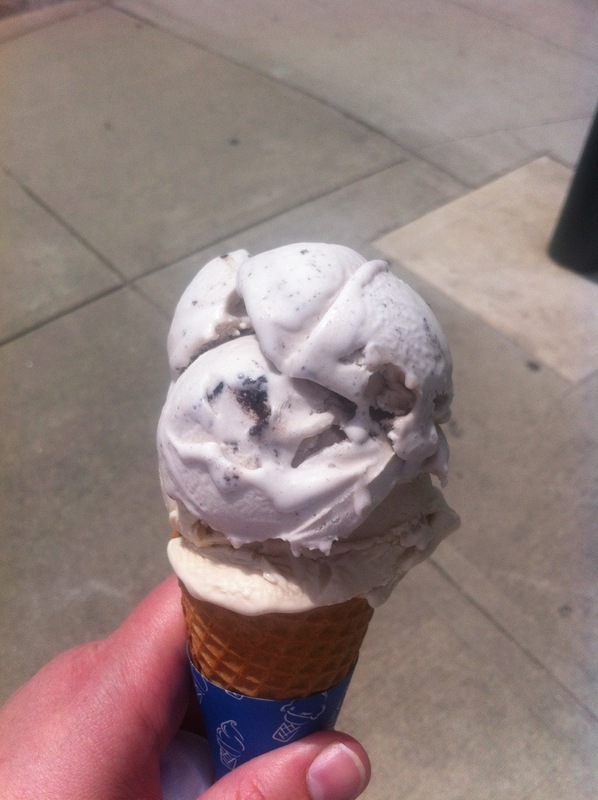 Hopefully next time I visit I can try the blue ice cream.So instead we tried the Guinness ice cream, and I added a scoop of one of my favorite classic flavors – cookies and cream. 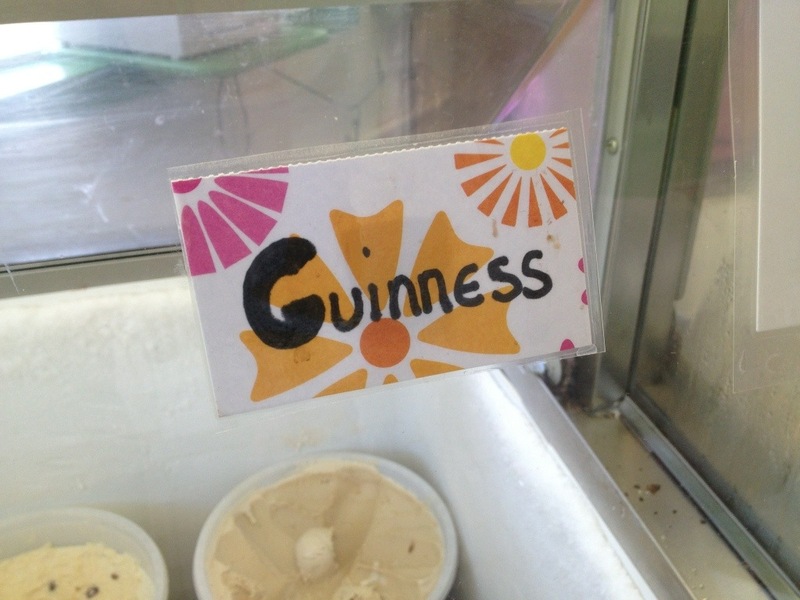 The Guinness ice cream is light and creamy, but distinctly tastes like Guinness beer. If you like Guinness beer you will like this ice cream. Essentially a thick creamy beer, Guinness pairs very well with ice cream. The taste of the beer is not overpowering, and is instead a perfect balance with the sweetness of the ice cream. The Cookies and Cream ice cream is what you would expect for this popular flavor – chocolate cream filled wafer cookies mixed into vanilla ice cream. 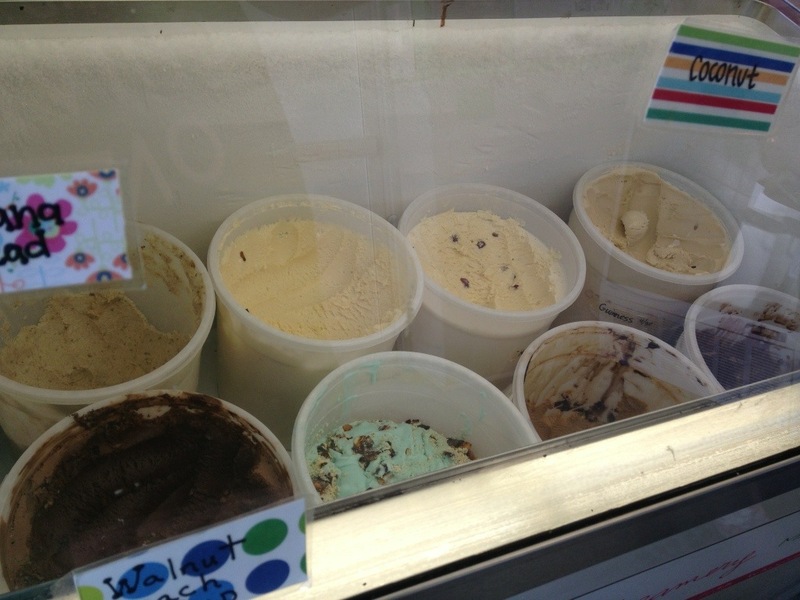 However, as soon as you take a lick you know this is high quality ice cream and that is what sets it apart. Whether you order a basic flavor or a more unique concoction you immediately know this is not regular ice cream you can get from any ice cream shop. 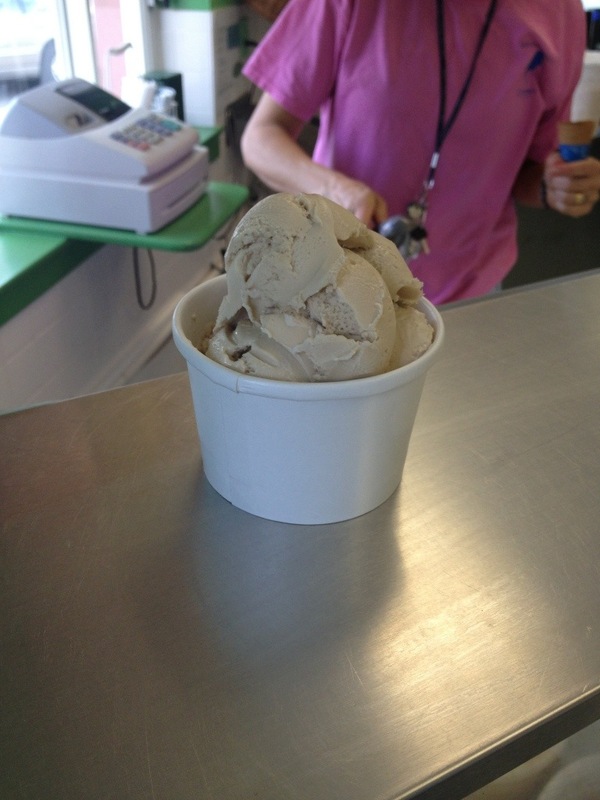 Walnut Beach Creamery is one of Milford’s best kept secrets. 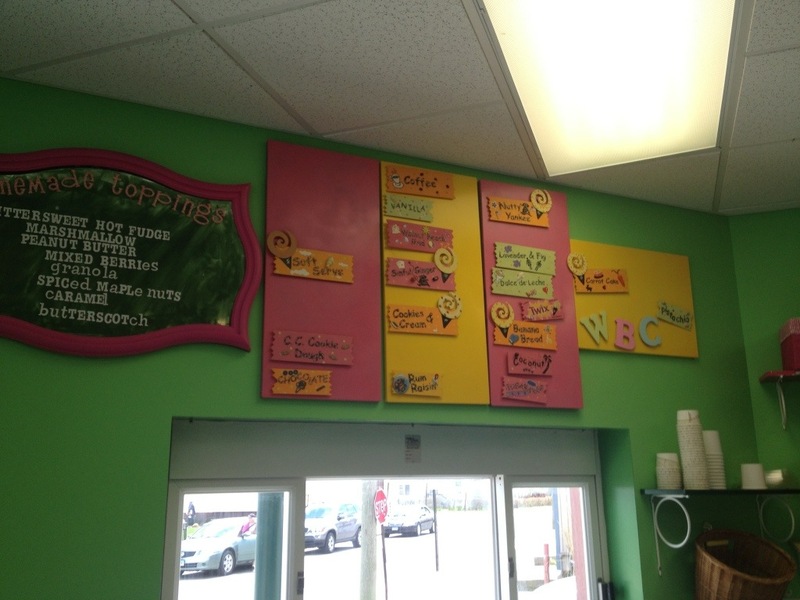 With the option of ordering from a walkup window out front or going inside, this quaint, unique neighborhood ice cream shop makes ice cream you’ll want to keep coming back for once you try it. 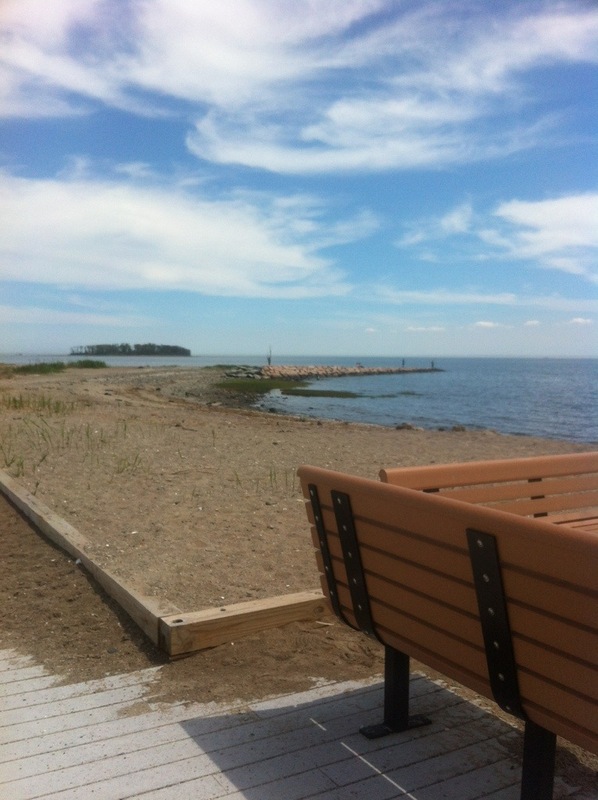 TIP: Walnut Beach Creamery is located within a short walking distance to the beach, or a short drive down the road where you can park and enjoy walking on part of the Silver Sands Boardwalk. We parked our car and walked the boardwalk which the picture above was taken from. Beer Lovers The One Eyed Pig Wants You!